As early as the 1820s, Michigan lighthouses have been protecting the Great Lakes shorelines. Today, one of the rarest experiences is to spend the night in one of these historic and often romantic beacons. Nationally, only a dozen or so lights have been converted into bed-and-breakfast inns with a handful of them found right here in Michigan. Imagine waking to the sounds of waves rolling in along the sandy beach, with expansive views the Sleeping Bear Dunes and the Manitou Islands in the distance. Or, ending your day watching the sun dip slowly in the sky before it disappears along the Lake Michigan horizon. And in between, finding quiet solitude in the shadows of the Point Betsie Lighthouse in Frankfort. Built between 1854 and 1858, Point Betsie is the latest light in the state to offer overnight accommodations for up to six guests in the former assistant keeper’s apartment on the upper level of the lighthouse. Maintained by the 300-member Friends of Point Betsie, the Keeper’s Quarters offers two separate bedrooms, a common living room, bathroom and a fully-equipped kitchen. What this light doesn’t offer are the distractions of modern technology, such as wireless internet or television. A stay at Point Betsie begs visitors to reflect on the simple pleasures in life, like reading a good book at the beach or enjoying a game of Euchre with the family on a rainy day. Point Betsie is available for weekly rental from mid-June through Labor Day weekend, and with a two-night minimum in the early (starting Memorial weekend) and late season (through mid-October). 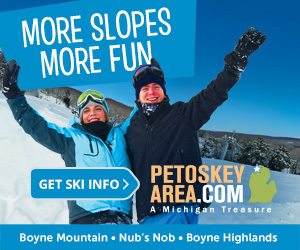 For rates and reservations, call (231) 352-7644 or visit PointBetsie.com. For more than 30 years, the majestic red brick Big Bay Point Lighthouse has been welcoming visitors to spend the night in one of its seven unique guest rooms. First opened as a bed-and-breakfast in 1986, the light was purchased in May 2018 by Nick Korstad, who also owned and restored the Borden Flats Lighthouse in Somerset, MA. During the summer of 2018, Brad Delapena and Meredith McQuaid from Minneapolis, MN embarked on their second Lake Superior Circle Tour—by motorcycle, staying at the Big Bay Lighthouse just as they had 13 years prior. “We had to stop here again, and the experience was even better than the first time,” Meredith said. With updated rooms and the same unparalleled views, she says the atmosphere of this Upper Peninsula gem was much more inviting this time around, attributing much of that to the personality of the new innkeeper. Three of the seven guest rooms at Big Bay are named after former keepers: James Bergman (1901-1915), John McDonald (1915-1927), and John Dufrain (1927-1933), while the other four bear the names of assistant keepers and helpers at the remote lighthouse about 30 miles from Marquette, along the shores of Lake Superior. Each room features a private bath, many also have fireplaces and water views. Guests also have use of the living room, where they can warm themselves beside the fire; a library which is well-suited for reading or watching the classic film Anatomy of a Murder, based on a true story that occurred nearby in the 1950s (including the filming); or exploring the 47-acres of woods and meadows surrounding the lighthouse. Of course, climbing the steps of the lighthouse tower—for photographic 365-degree views—is a must. Those looking for an enhanced experience will want to book one of the special spa treatments available in the Serenity Massage Hut, which sits in a secluded woodland area perched 30 feet above Lake Superior. Available May through October, appointments such as warm stone massage or the romantic “Bliss for Two” package offer add-ons such as collagen facial or foot salt scrub. Big Bay Point Lighthouse is open year-round, with discounted rates in the off season. 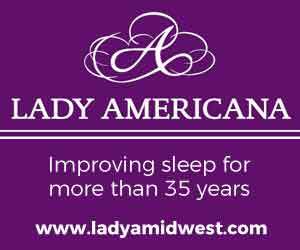 Rates include lodging, a full homemade breakfast and a wealth of memories. 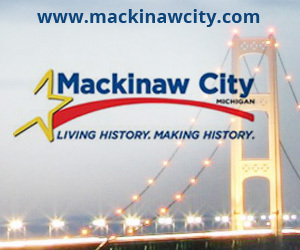 For reservations, call (906) 345-9957 or visit BigBayLighthouse.com. Paradise, Michigan is known for several things—it is the wild blueberry capital of Michigan, it is home to the Whitefish Point Bird Observatory and it is the site where the legendary Edmund Fitzgerald sank in the treacherous waters of Lake Superior on November 10, 1975. It is also home to Great Lakes Shipwreck Historical Society, which manages the Great Lakes Shipwreck Museum including the Whitefish Point Light Station. The 1923 Coast Guard Crew’s Quarters at Whitefish Point are open for overnight stays in one of five themed rooms at the oldest active lighthouse complex along Lake Superior’s Shipwreck Coast. The first floor “Chief’s Officer’s” room offers a queen bed and is fully barrier-free; the four other rooms, each with a full or queen bed, are situated on the second floor. The two-story white with red roofed station also offers a common living area and kitchen, where coffee and a continental breakfast are offered each morning. Bob and Linda Hildebrand from Sheboygan Falls, WI stayed in the Crew’s Quarters for the first time last summer, and they say they’ll return for a longer visit next time around. After breakfast, guests can explore the rocky shoreline where waves crash in rhythm and passing freighters can be seen traveling through brilliant blue waters of the northern Great Lakes. Rock hunters consider this stretch, from Whitefish Point to Grand Marais, to be among the best for discovering agates—an ornamental stone consisting primarily of chalcedony and quartz, stained brilliant shades of reds and browns by the iron prevalent in the area. A popular evening pastime here is viewing the Aurora Borealis (Northern Lights) which can often be seen dancing in the sky in colorful patterns of green, pink and purple. In the spring and fall, visitors to Whitefish Point will want to check out the Bird Observatory, adjacent to the Whitefish Point Unit of the Seney National Wildlife Refuge and affiliate of the Michigan Audubon Society. Considered a migration hot-spot, this site acts as a natural corridor for thousands of birds with more than 340 species recorded. The Crew’s Quarters at Whitefish Point are open April through November. For reservations, call (800) 635-1742 or visit ShipwreckMuseum.com. 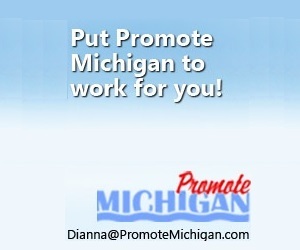 For more information on Michigan’s many lighthouses visit the website of the Great Lakes Lighthouse Keepers Association at gllka.com or TerryPepper.com, the website of its president. Dianna Stampfler has been researching and writing about Michigan’s historic beacons for nearly 20 years. 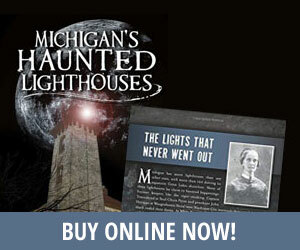 Her first book, “Michigan’s Haunted Lighthouses” was just published by The History Press. Accommodations and seasons vary. Check websites for information.